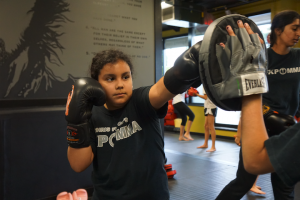 Your child will learn the best of Kickboxing, Muay Thai, MMA, Jujitsu, grappling taught in a style known as Pankration. Teens 10 & Up! Witness your child’s confidence soar while learning realistic self defence skills taught in a fun, safe and positive environment. 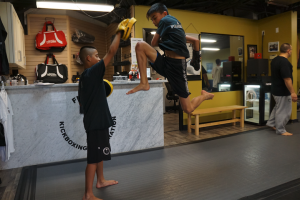 FILES publication has awarded FKP MMA with “Best Vancouver children and teens martial arts program” for the last decade (2006 to 2016). Our innovative curriculum and philosophy on character development through the science of martial arts will help instil healthy values that can last a life time. Call now to book your child’s first FREE trial lesson today.